Insurance makes sure that you’re financially taken care of when your home is broken into, your car is hijacked or your cell phone and bag are taken during a smash and grab. In this Old Mutual review, we will see why they are one of the biggest providers in South Africa. Insurance doesn’t end there though. Your life can have insurance, your salary, or your business. It can be horrendous working for 10 or 20 years to accumulate some wealth so you can lead a comfortable life, only to have your home cleared out of its contents, your car stolen and a family member losing their life. These days South Africa has many insurance providers who offer insurance policies to cover everything you can think of. There are very few people who can afford so much insurance. But probably life insurance, car- and home insurance and medical insurance are the ones that everybody wants. Old Mutual is one of South Africa’s leading providers of insurance. In fact, they provide savings, life assurance, investment, asset management, banking, and property as well as personal insurance in Africa, America, Europe, and Asia, providing products and services to more than 18 million customers. 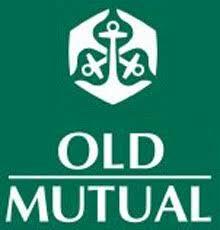 Old Mutual are well established, having started out in 1845 as South Africa’s first mutual life insurance company. Old Mutual Insure is the oldest short-term insurer in South Africa. With Old Mutual’s Personal Insurance, they have a solution to your needs. You can choose from their GREENLIGHT range of personal cover benefits – life-, disability- and severe illness cover. In fact, when it comes to Severe Illness cover, Old Mutual’s Greenlight pays 100% of the cover amount for 40 different illnesses. This is under their Comprehensive Severe Illness Benefits. Their Extensive Illness Benefit adds another 13 mild conditions at 30% of the cover amount. Personal cover from GREENLIGHT ensures your finances and lifestyle have cover. There is also GREENLIGHT life cover which pays a lump sum to your beneficiaries when you pass away. Contact Old Mutual on 0860 60 6065 to find out more about their Greenlight products. On top of that, if you have coverage under a Greenlight Benefit, you enjoy unlimited access to Care 4U. A life-assisting support programme which is available to GREENLIGHT clients and offers 24-hour assistance. Greenlight also has advice tools for personal and business cover. Their B.E.R.N.I. (Business Easy Risk Needs Indicator) and E.R.N.I (Easy Risk Needs Indicator). You’ll go through the different product options and also choose a risk solution that gives the best cover. GREENLIGHT also offers you a choice of 3 premium increase patterns according to the benefit selected. Old Mutual also offers personal insurance, business insurance, agricultural insurance and travel insurance. With their Travel Insurance, for instance, you’re covered for those unexpected events such as lost luggage, trips that are canceled and medical expenses on your travels. You can take your pick from their Leisure Package, Business Package and Senior Package for those 71 – 81 years of age. Old Mutual isn’t one of the biggest providers of financial services for nothing. They simply make sure your valuable investments have cover. Apart from their asset management services, they provide personal and corporate life cover solutions. Protecting clients in the event of death or disability. Whether you go for their Life Plan range or their Greenlight Life Cover, there is much more to them in terms of the wonderful financial services they offer.